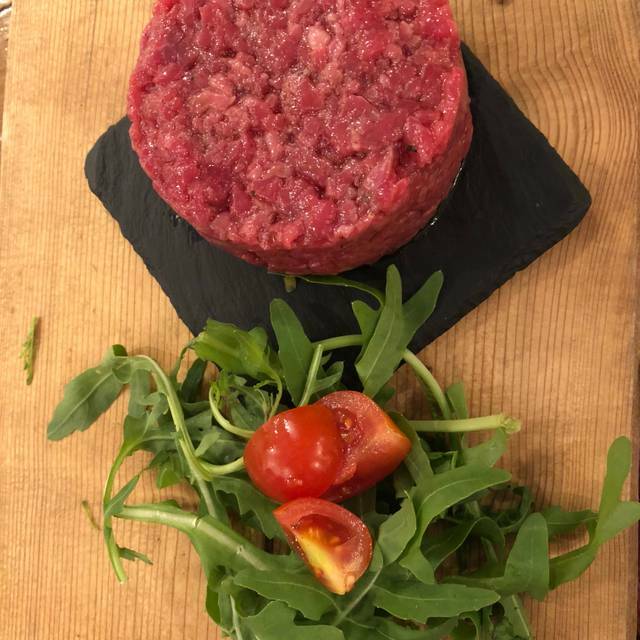 Welcome to MACELLAIO RC SOUTH KENSINGTON, kingdom of the Italian Fassona beef and the first butchery-restaurant opened in London. 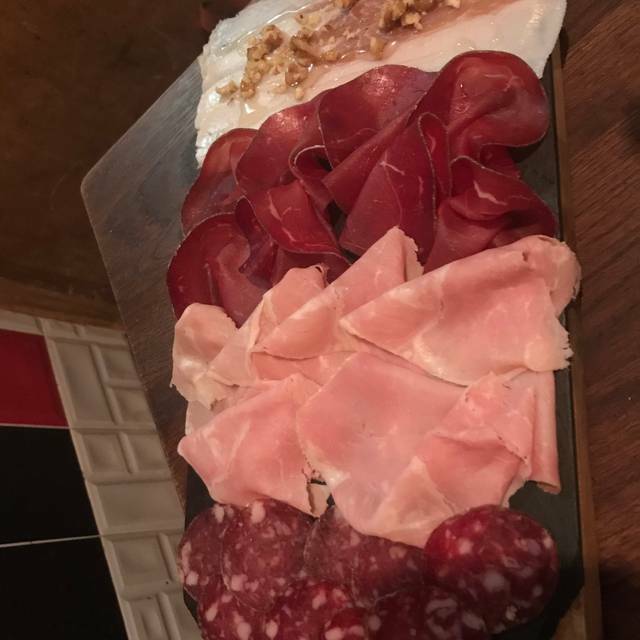 We offer only products of excellence from the best Italian companies such as Fassona beef, charcuterie, delicious cheeses and a quite extensive selection of Italian wines. When selecting them, we want to praise not only the product itself but -above all- the work of the artisans workers that are behind them. 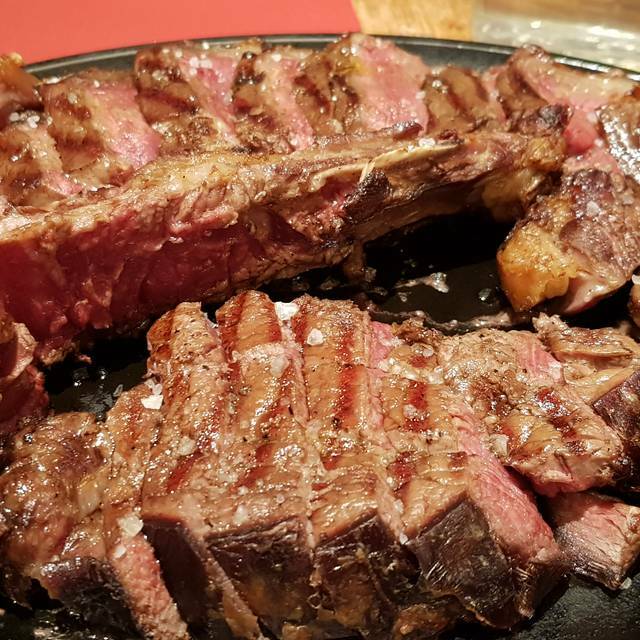 The beef selection takes place from small farms located between Monforte d'Alba, Serralunga, Roddi and Alba, where each animal is treated with respect. Welcome and feel like home! My experience was good, but not excellent. The food was amazing and the meat was coocked as requested. I guess it was just opened, cause it was clearly not ready, with waiters cleaning the floor right behind us, setting up tables and dirty bathrooms ( not nice).
" Finally we are out.. It was a continuous bla bla bla bla and it was so annoying, but most of Italians are like this". Food is important.. But people are as well..
Rib eye was sooooo good. Although, when I asked for the porterhouse the waiter asked what that was. I was slightly disappointed by this. Thanks to Gianluca for the great service. Upon entering, the butcher area has an off smell. I return to this place at least once a year; I have to say this last time has been the least memorable. The T-Bone was ok, but somehow not as good as I recalled. Amazing meat quality and outstanding service. Definitely one of the best steakhouse restaurants in London. We arrived at the restaurant and were promptly welcomed by member of staff, which showed us the table. We asked our waiter some tips on the food and he gave us all the explanations we needed it! Outstanding food! We had 900 grams of costata with some roasted potato as side dish! As usual the steak was impeccable and the wine paired perfectly with it. The service was great. The cheesecake was delicious but too small. 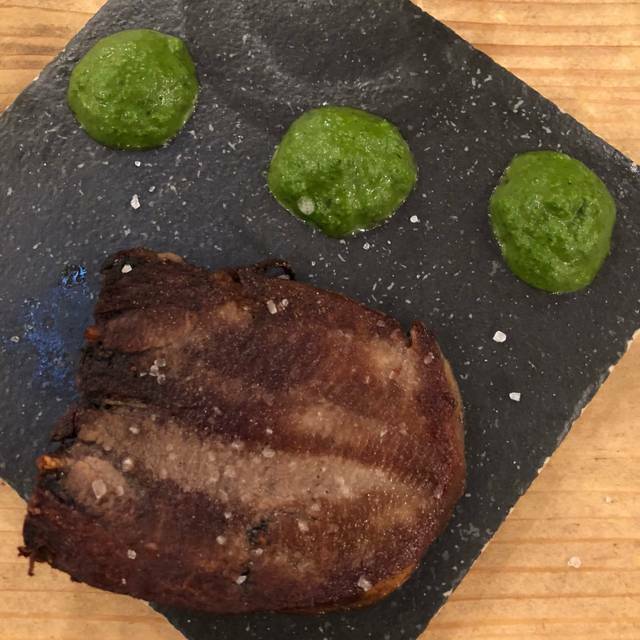 Il personale è meraviglioso, il cibo di ottima qualità! La focaccia sublime, l’olio dalla Toscana un piacere assoluto. Everything was amazing, from the staff to of course the food. I’m quite regular here and never disappointed. Alessandro and Raffaele made the experience even better. Macellaio is my sister’s favourite steak house - we visited the union street one a few times. We visited here for my sister’s birthday dinner. Again, the meat in south kensington one was really good but there were two pieces of hair in the steak which put us off. Our dinner was great. Steak tartare, carpaccio and T-bone steak were very tasty. I always order same dishes here, however I am sure everything else on the menu is worth trying. I’d definitely recommend this place. Oh and basil dessert (panna cotta) is great! Everything was perfect except staff : they forgot successively our glasses of wine, then our sides. We ordered 3 desserts in total instead of 4 and the waiter tried to convince me to buy it. the T-bone steak was deliciously tender. Nice place, friendly. The restaurant is welcoming and cosy. Service is friendly and helpful. Food is also good for the type of Italian cuisine it is proposing. The meat is good and cooked to perfection. As the name implies, if you do not like meat, this is not the place for you. Only negative is we should have checked the bill better as we had been charged one bottle of wine more than we’d had. Good place for tartar and steaks as quality of meat is really good.... The 2 pasta dishes we had were both bit disappointing.... starters were ok and so were the desserts. 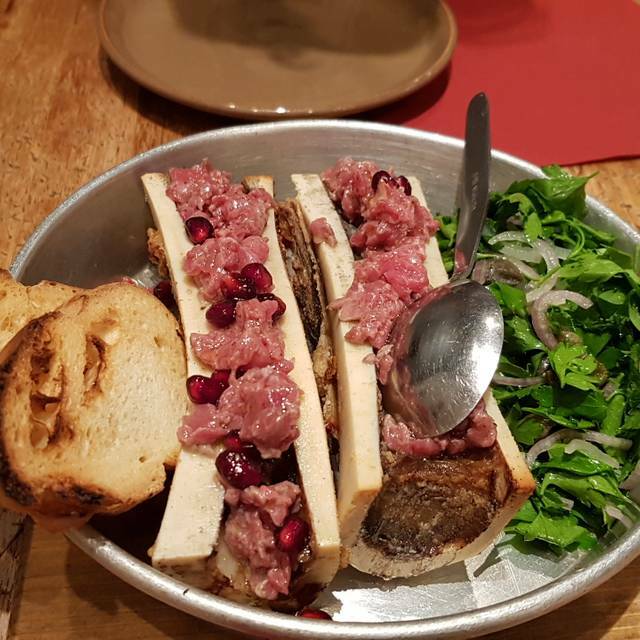 Great selection of Tartar for meat lovers. The staff was very attentive and friendly! The food is fantastic. The wait staff, especially Marcello, were fabulous. Very friendly and helpful. The butcher amazing. Perfectly cooked !! Great dinner with friends, excellent italian meat perfectly cooked, warm welcome and fantastic service and suggestion from our waiter Gianluca. Cannot wait to come back! LOCATION BELLA , STAFF CORDIALE E DISPONIBILE. Excellent place for true meat lovers. The butchers preparing the meat right in the restaurant gives it something special. This is the place to go for great steak in South Kensington , and the Italian wine list is notable. The staff is very friendly as well. Un accueil fabuleux , des produits frais et des conseils avisés tout au long du repas. Un très bon moment gustatif . I was VERY surprised and disappointed with the overall quality of the dinner. 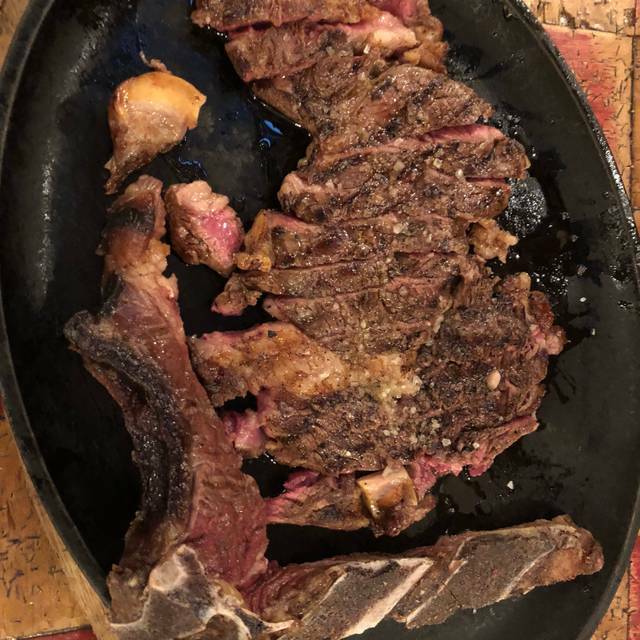 The quality of the 700g ribeye I ordered was way below average, poor and which is something NOT acceptable under any circumstances in a restaurant specialized in meat. I know when the meat is good and that evening was definitely NOT the case. Side dishes, eg salads, were not fresh. Once again we were very surprised by the food quality. Overall the restaurant atmosphere is nice, but disappointing food quality, at least for my dinner. excellent quality food Love that the waiters are Italian too, it adds to the authenticity. Simple and rich in quality. Really enjoyed my meal here and loved the wine selection. As usual Il Macellaio did not disappoint. Great ambience, amazing food, super kind and available staff, we were the last ones to leave and I really enjoyed the space all for us, no pressure at all from the staff to leave, the wines list is unbelievable and we already cannot wait to come back! Had the best steak in London. Tiramisu and basil panna cotta also out of this world 🚀 wines are listed by how steaks are cooked or can be bought how you like. All in all was above my expectations. Can’t wait to go again. Warm environment. Limited dining space. Speak loud. My waiter is a young boy, he is very cheerful, happy n give us good service. They truly know how to make good out of beef. 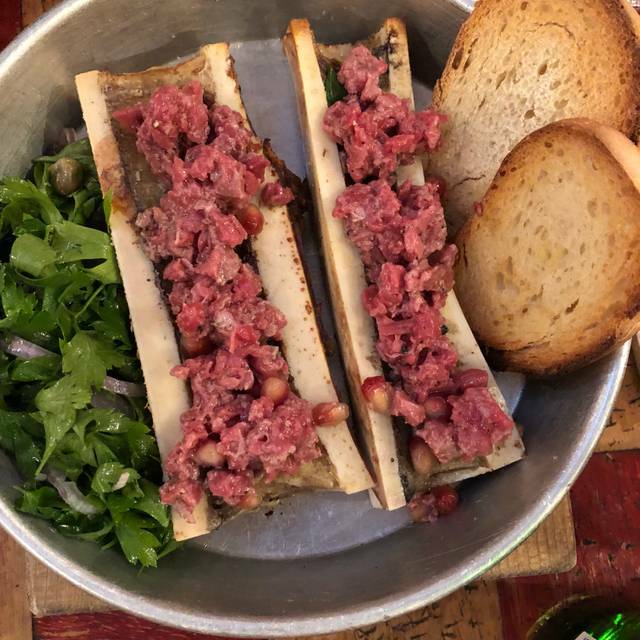 Had beef tartare, bone marrow and beef tongue. 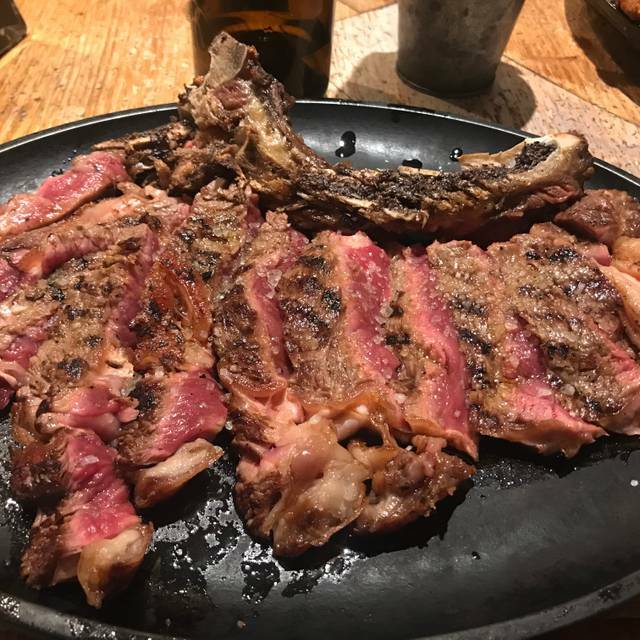 Took advice to order costata. Nicely done steak! Portion is good. Can’t fit in anymore dessert. 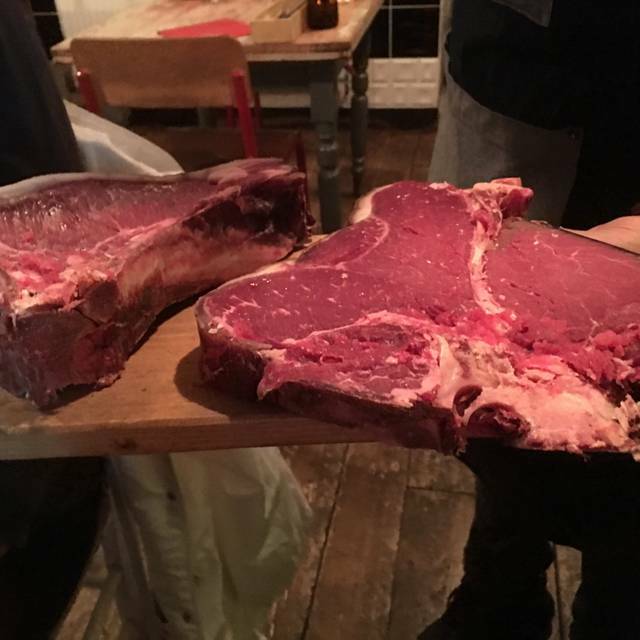 Probably the best steak I had in London in a while. Steak tartare absolutely amazing. We ordered a medium steak, unfortunately it came blue! The waiters didn’t even ask if we were happy with the food at any point whilst we were eating.